CHICAGO, IL - March 2011 – Perfect for springtime renovation, addition or home improvement projects, WarmlyYours indoor and outdoor electric radiant concrete heating products turn any sunroom, patio or finished basement into a year-round comfort zone and eliminate dangerous slipping, sliding and back-breaking shoveling on driveways and sidewalks. 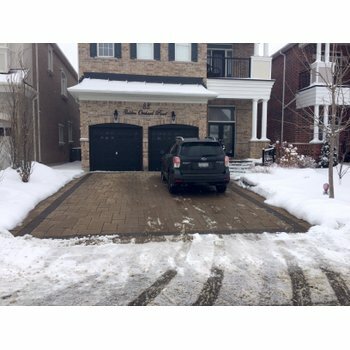 Available in both cable and mat configurations, slab heating solutions from WarmlyYours are energy-efficient, allowing home owners to feel comfortable even in chilly weather while reducing their overall heating costs and eliminating the risk of injury from icy conditions on driveways, walkways and patios. To demonstrate how effective and efficient these systems can be at creating a comfortable and safe surface, WarmlyYours representatives will showcase their unique cable and mat heating products at Booth #709 during the Concrete Décor Show March 15-18 at the Nashville Convention Center. For indoor applications, WarmlyYours concrete heating solutions offer cozy, room-filling comfort for remodel projects, new construction and additions with concrete slab flooring. Whether homeowners plan to make use of the indoor sunroom or patio without layering socks and clothes, the radiant electric heat produced by these systems requires no pipes, boilers, tubing, tanks or noisy pumps. 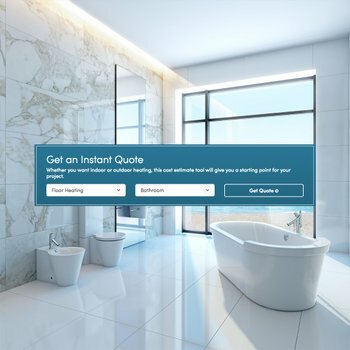 It also eliminates the worry of venting dangerous exhaust gases while remaining fairly simple in design compared to the more complicated hot water systems. For outdoor slab heating, WarmlyYours radiant concrete heat gently warms the surface to improve comfort and prevent snow and ice buildup, eliminating the need for harsh chemical melting agents that can damage concrete surfaces. WarmlyYours radiant concrete heating solutions are offered in both 120V and 240V configurations and include 20 feet of cold lead for easy power hook-up. They can be embedded 2” to 3” below the finished concrete surface. 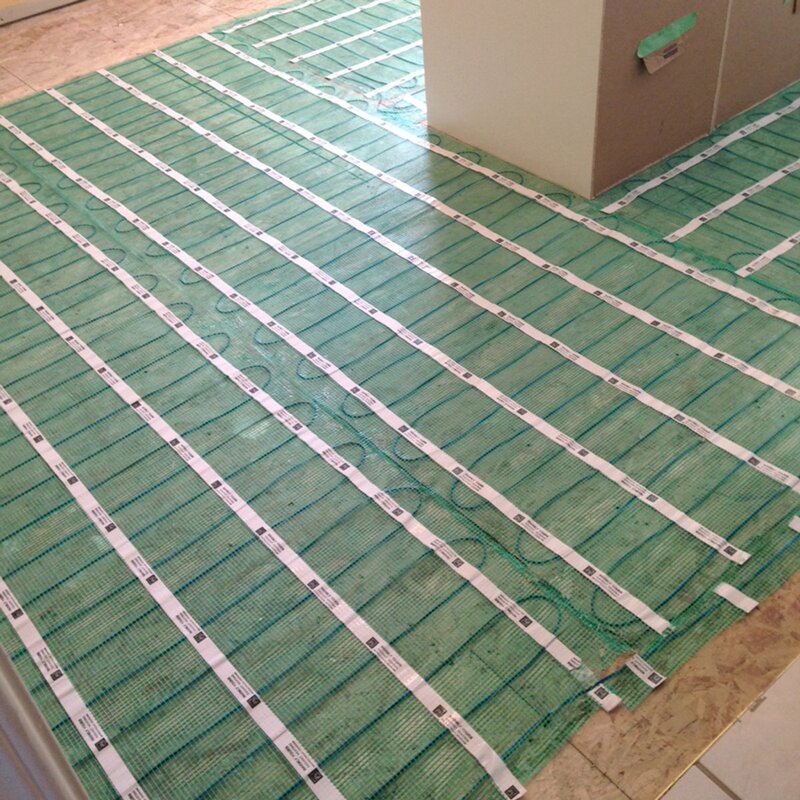 The radiant heating experts at WarmlyYours even offer customized planning based on each customer’s unique project. 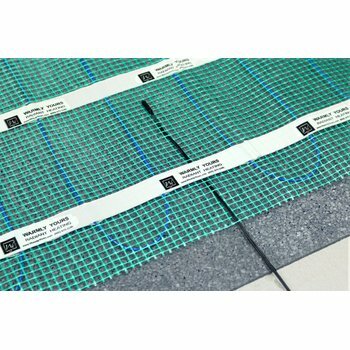 For normal concrete slab floors and mortar under pavers, WarmlyYours Floor Heating for Concrete mats range from 11-112 feet long and 1.5 to 3 feet wide. Quick and easy to install, the mats generate 20 watts per square foot (215 watts per square meter). WarmlyYours Floor Heating for Concrete 120V mats start at MSRP $240, while 240V mats are available for a starting MSRP of $790. Ideal for oddly-shaped areas like curved or diagonal walls, WarmlyYours Floor Heating for Concrete cables are available in lengths of 57-563 feet. The energy-efficient twin-conductor heating cables generate six watts per lineal foot (20 watts per lineal meter). Typical spacing is 3.5” to 5” on center. WarmlyYours Floor Heating for Concrete 120V cables start at MSRP $225, while 240V cables are available for as little as $745. Controls for slab heating systems start at MSRP $69. To see a demo and get more information about adding WarmlyYours Floor Heating for Concrete to your next project, stop by Booth #709 during the Concrete Decor Show or visit https://www.warmlyyours.com/en-US/products/line/floor-heating-slab-heat-mat. Next Post Easy Heated Floors – Even in a Gazebo!